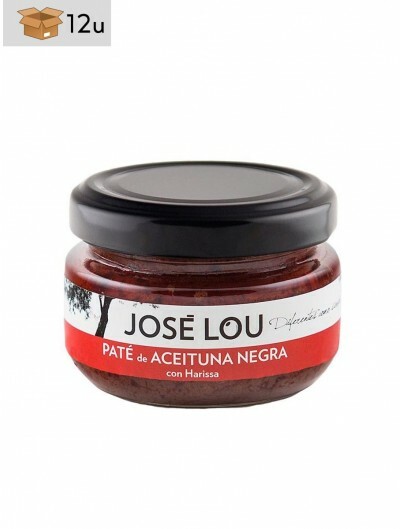 Empeltre black olive pate with Harissa ( spicy sauce), fused with the best extra virgin olive oil from Aragon. A 100% natural product suitable for gluten intolerants and vegetarians. If you like chickpeas hummus, try to add thi pate to it, you will be surprised! Decorate your appetizers and give them an intense flavour with a spicy touch. It is ideal to prepare dressings with extra virgin olive oil or to use it with Canarian wrinkly potatoes. 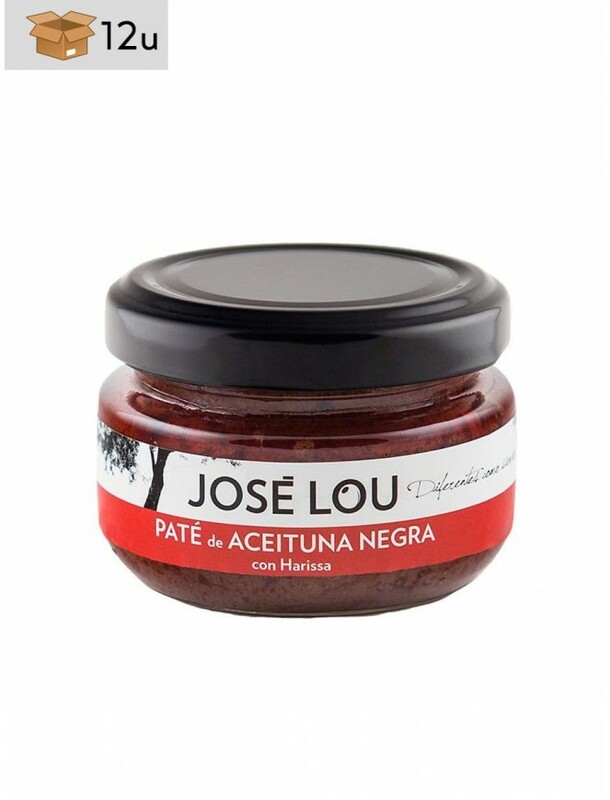 Give a special and original touch to your dishes with this Empeltre black olive pate with Harissa. 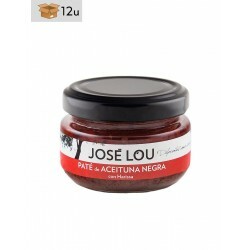 It is perfect to be used for both modern and traditional cuisine. Black olives, spicy red pepper, extra virgin olive oil, garlic, coriander and caraway.